Kritiklabbet is in a series of simple Youtube-films evaluating some of its experiments. We begun with three evaluations in Swedish, first out was the poetry criticism newsletter Örnen & kråkan, the second one for the newspaper The Last Mass Mail that we produced and distributed at Supermarket Art Fair 2018 and the third one about the proposal for a Swedish Critical Archive. 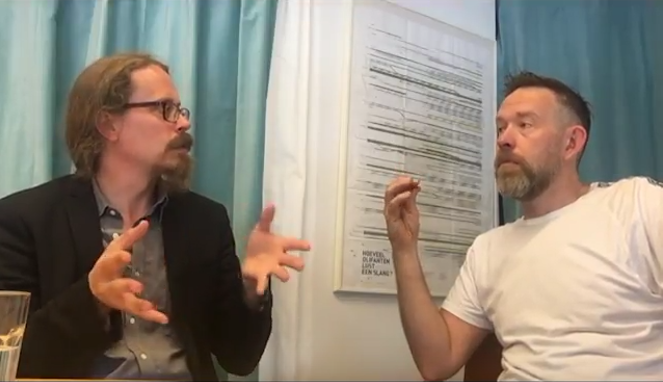 In this, the fourth, film Axel Andersson (editor at Kritiklabbet) and Danjel Andersson (director MDT) met to discuss the Koreografikritikverkstad (Choreography Criticism Workshop) that Kritiklabbet and MDT ran together. Koreografikritikverkstad was an initative to bring new voices to the field of dance criticism in Sweden. It worked experimentally with challanging the critical format and tone. Results from the three workshops carried out in Sweden can be found here. Koreografikritikverkstad has also been arranged in Norway and Denmark.